Russia 2018 FIFA World is the most watched event globally making it the most popular football tournament in the world. EA Sports has updated and developed the game version of the tournament to be played on PC and mobile devices. So you can now download FIFA World Cup 2018 Apk for Android devices directly from this post free of charge and enjoy the trills and amazements of the FIFA Soccer game. 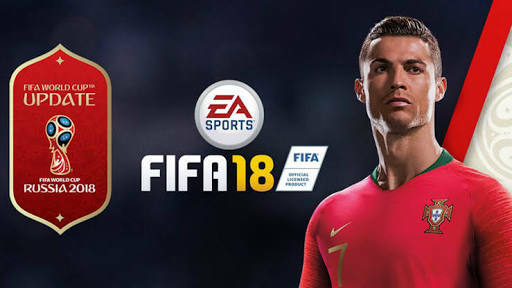 Also called FIFA 18 World Cup Apk, FIFA World Cup 2018 game lets you get a free Ronaldo item and build your Ultimate Team to attack, score, and win as many matches as possible as well as eventually winning the ultimate world cup tournament. According to the excerpt from the release note on Play Store; the 2018 FIFA World Cup™ has arrived to FIFA Mobile! If you’re new to FIFA Mobile, start building and managing your team with Cristiano Ronaldo as the star. Then train any player to superstar status, attack opponents, and keep coming back for daily content all season long. Whether you’re a savvy veteran, just starting out on the pitch, or ready for FIFA World Cup™ competition, FIFA Mobile is your source for soccer. 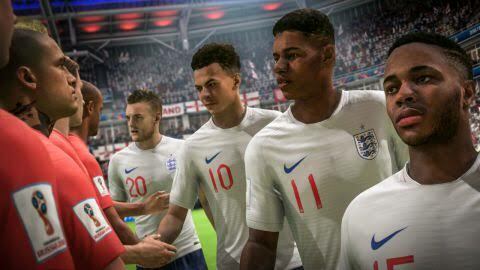 Note that FIFA World Cup 2018 game is an online game so you need active internet connection with adequate data or wifi to play this game. Of course it’s a bad news for gamers wishing it’s an offline game. Play through unique modes and maps, unlock regional rewards, and chart your path to FIFA World Cup™ glory. Play as any of the 32 qualifying countries, and test your national team’s wits against players from all over the world with thrilling VS Attack matches and tournaments, and take part in an exclusive mode featuring nations that fell short of qualifying, like Italy and the U.S. Strategically form lineups to earn meaningful rewards for your team with Squad Building Challenges. Predict the results of real-world 2018 FIFA World Cup™ matches, and choose correctly to earn rewards, train your players, and level up your team. As an added bonus, purchase packs in the FIFA World Cup™ program and receive equal value for your core Ultimate Team. The 2018 FIFA World Cup™ Russia is here! Some of the featured national teams in this game includes Germany, England, Belgium, France, Brazil, Uruguay, South Korea, Japan, Nigeria, Senegal, Egypt, Peru, Tunisia, Columbia, Sweden, Russia, Argentina, Spain, Portugal etc. Experience a truly social experience that allows you to join forces and strive for glory with friends and gamers around the globe. Test your soccer skills in inter-league championships, or take on the best gamers worldwide in League vs. League Tournaments to climb the leaderboards and prove your talent on the pitch. An immersive new experience rolling out weekly, Squad Building Challenges lets you strategically build different line-ups to earn amazing and meaningful rewards for your Ultimate Team. Take it one step further and carry these specific squads through VS Attack Tournaments all weekend long for even more great rewards. This app requires a persistent Internet connection (network fees may apply). Contains direct links to the Internet and social networking sites intended for an audience over 13. The app uses Google Play Game Services. Log out of Google Play Game Services before installation if you don’t want to share your game play with friends. Now that you have known the vital terms and conditions attached to this app, shall we proceed to the download link? Download FIFA World Cup 2018 Apk Here (Google play store link) if you can’t access play store, you can download it from apkpure, datafilehost, apkmirrow, zip or similar links. Also note that the Data OBB file of FIFA 18 world cup game is included in the app, meaning you will automatically install it before playing the game. Enjoy your gameplay. Thanks for reading my post. Please help share it with your friends on social media by hitting the share buttons below this article.